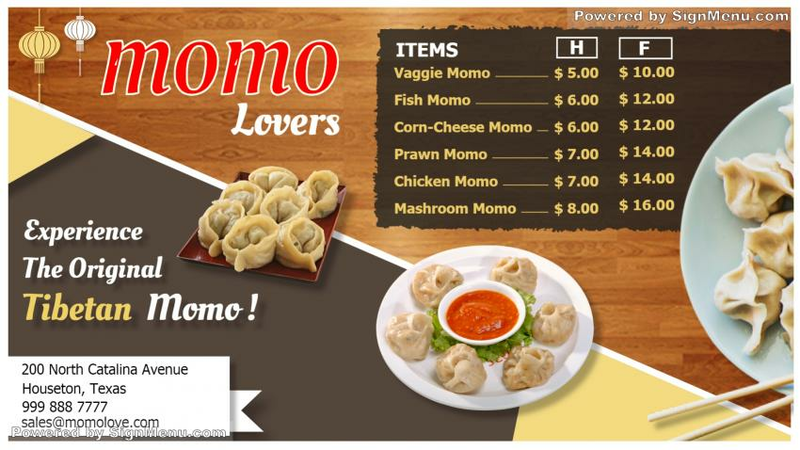 This template showcases a Tibetan food specials. You too can use a template like this to display your offerings. A digital signage screen, when placed on your restaurant premises, will highlight your menu with bold and glittering content. This form of advertising is very effective for garnering customers quickly and increasing sales. this template is ready for download and use.